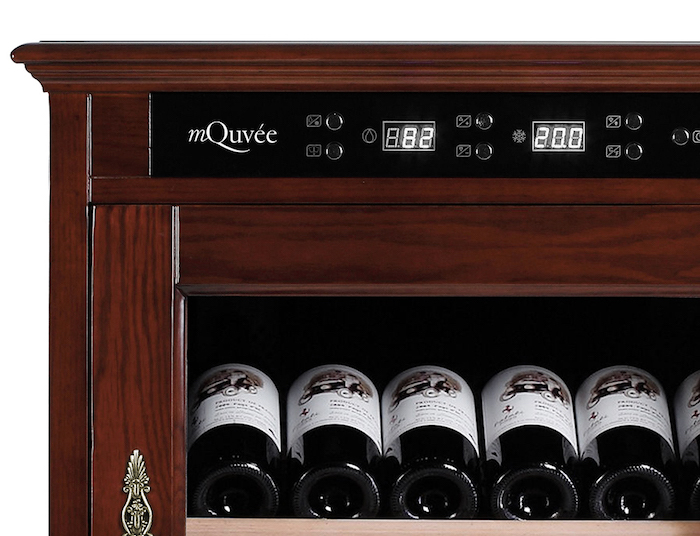 Neat wine cabinet from mQuvée in solid wood (American oak), excellent for a wine enthusiast who is looking for something unique. 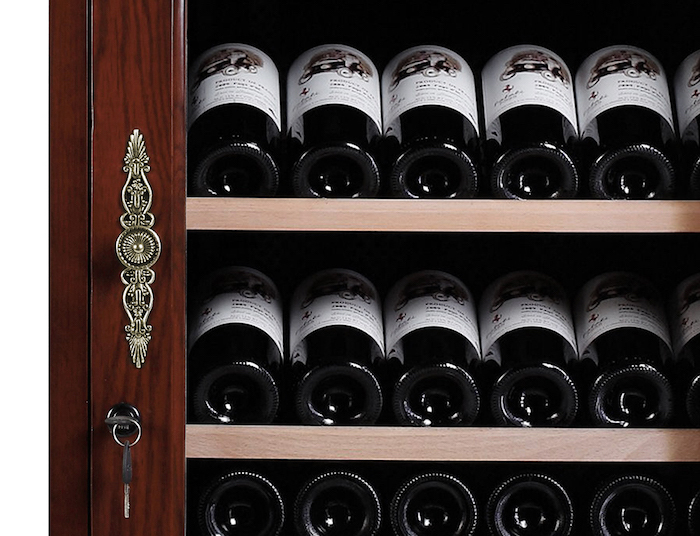 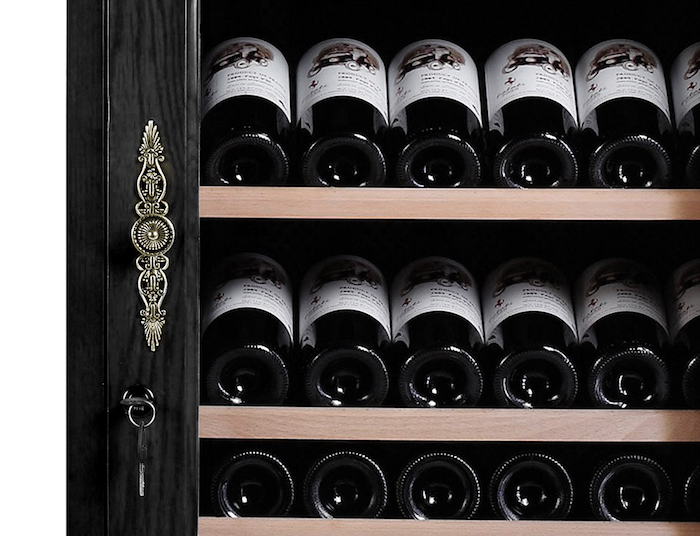 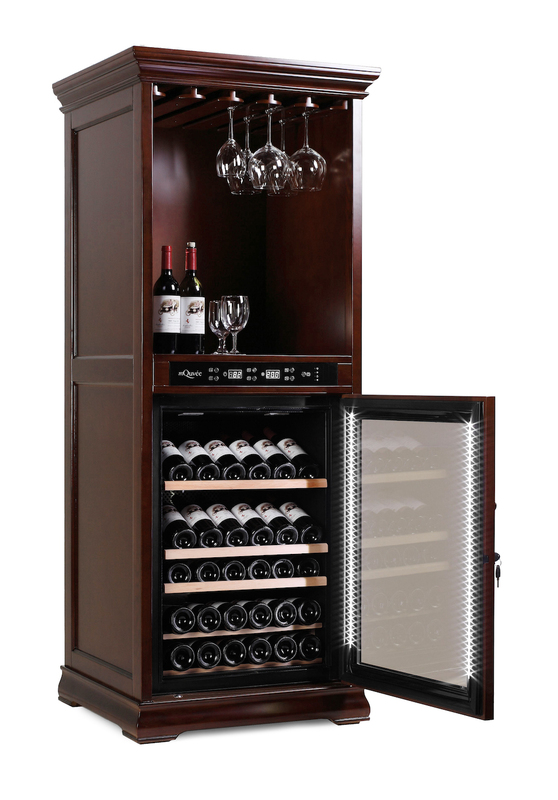 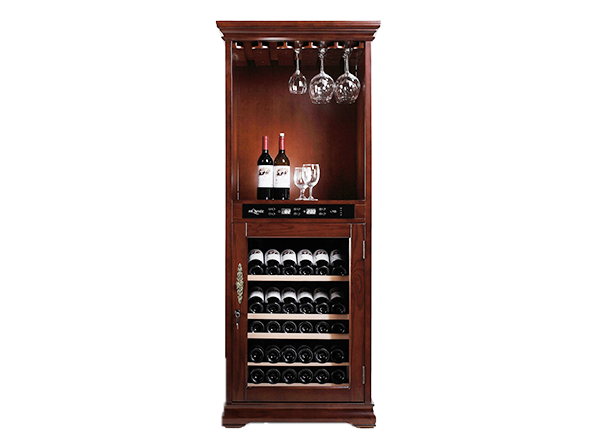 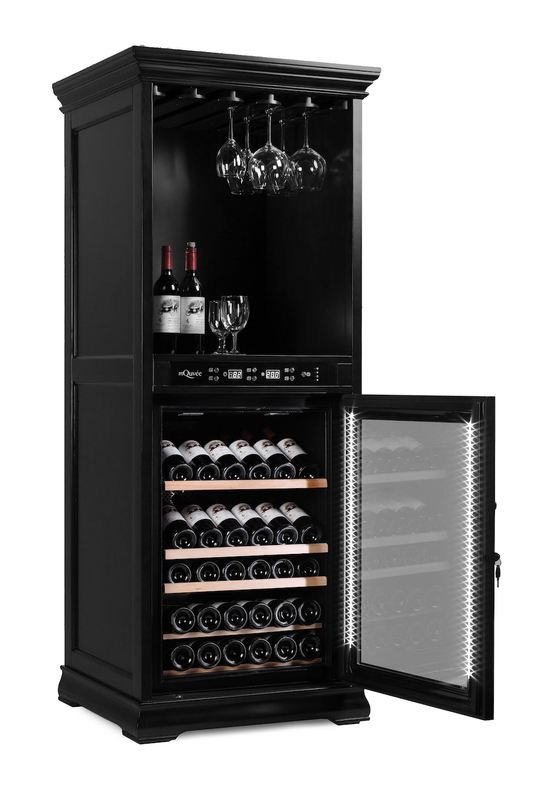 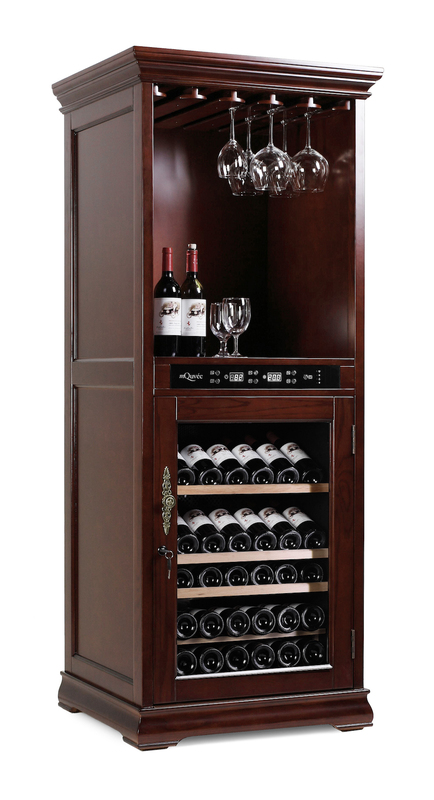 This wine cabinet allows you to enjoy your wine directly from the cooler, as it has a storage surface and glass hanger at the top where you can hang your wine glass. 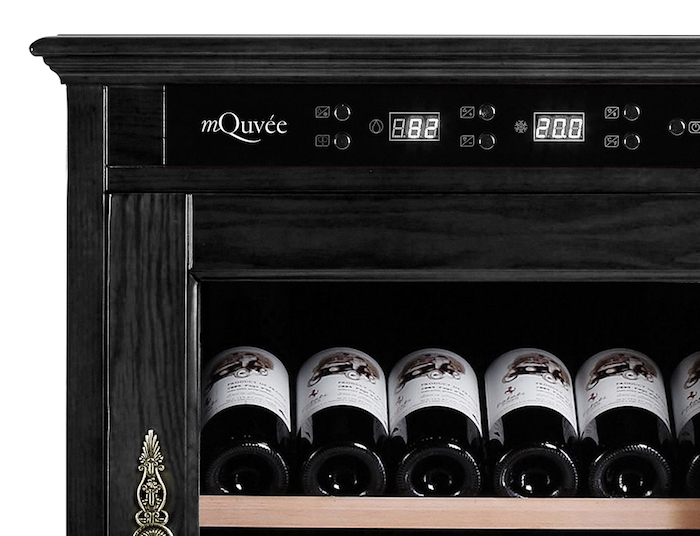 In addition to the ultimate storage conditions provided by mQuvée, it is also a beautiful piece of furniture for your home!